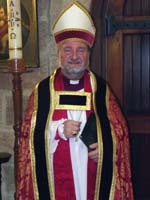 It is with great joy that I welcome you to the Guild of Church Musicians' Australian Website. The Guild was founded in 1888 as the educational body for church musicians by the Archbishop of Canterbury. 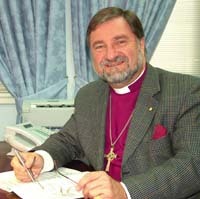 This role it still fulfils today, but at the Archbishop's invitation, is now an ecumenical body which has patrons of various denominations in Australia and the UK. The Guild seeks to raise standards of church music regardless of style, background or denomination. It does this primarily through encouraging church musicians to undertake courses to help enable and enhance their skills as leaders of music and worship. This site gives an introduction to the Guild's work and information about its courses of awards, certificates and diplomas in church music. I invite you to take a little time to explore these pages. We hope you will join us as we seek to lead God's people in fine church music in worship and praise. Copyright 2013 The Guild of Church Musicians, Inc. All Rights Reserved.